Unless you’ve got access to a cadre of professional wrestlers willing to do it for a case of beer, piano moving is a job best left to professionals. Whether it’s a spinet upright or a baby grand, moving a piano takes plenty of planning and a fair amount of money. 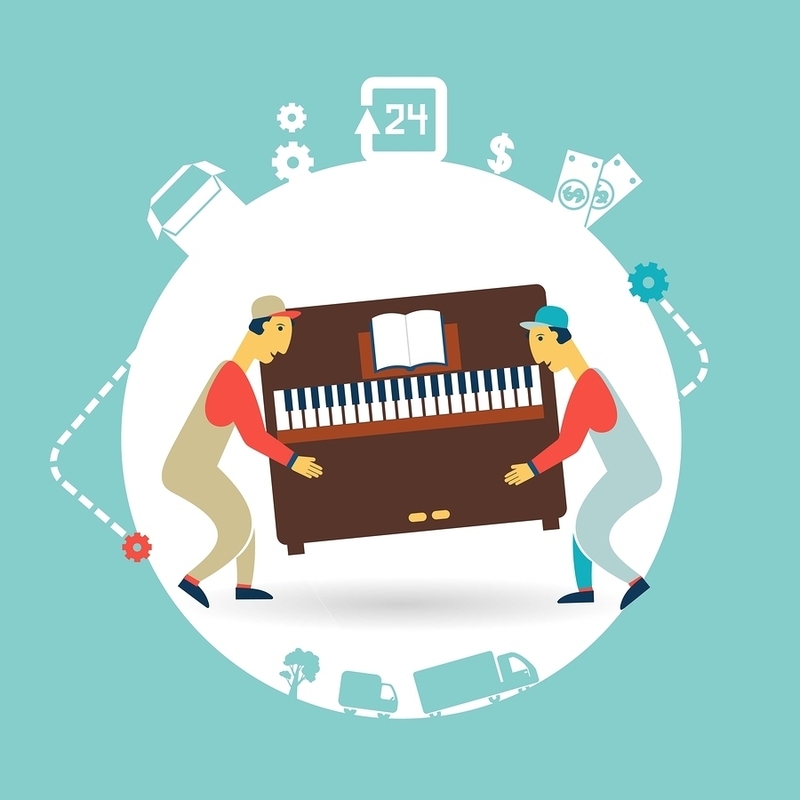 Prices for a piano move are affected by two factors: instrument size and how many flights of stairs are required for the move. An Upright Piano can range from 300 to 500 lbs., whereas a Grand Piano can weigh in upwards of 1,200 lbs. There are some other considerations when moving a piano. A perfect veneer considerably increases the value of the piece and is usually protected by professionals with layers of blankets to avoid dents and dings. Finally, it is crucial to have a professional evaluate the instrument at its current location prior to moving. Some pianos take well to tuning, but some have difficulty maintaining tone and need frequent adjustment. Additionally, most experts recommend allowing a piano to adjust to the ambient humidity of its new environment for a month or so before having a professional tuning job performed. This entry was posted in Uncategorized and tagged how to move a piano, move baby grand piano, move large object, move upright piano, moving piano. Bookmark the permalink.